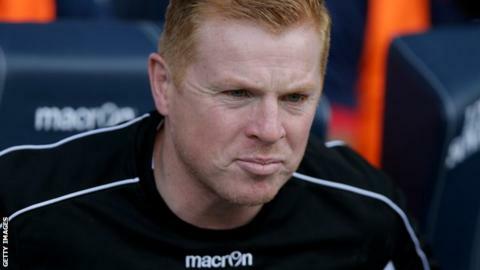 Bolton Wanderers manager Neil Lennon blamed his strikers' lack of "composure" for the Championship side's 1-0 League Cup defeat by Burton Albion. Lennon singled out Zach Clough and Gary Madine for their inefficiency in front of goal against the League One club. "We just missed that bit of composure from players who are better than that," Lennon, 44, told BBC Radio Manchester. "I'm talking about Zach and Gary. Gary's missed an open goal - I don't know how he's missed it." He added: "I can't put it in for them as much as I'd love to, so they've got to improve on their finishing pretty quickly." Lennon also revealed Fulham have made a bid for defender Tim Ream, with Bolton already rejecting an offer from Queens Park Rangers for the United States international. "There's been the original bid from QPR and a bid from Fulham," added the Wanderers boss. "He's not for sale - neither club have reached the valuation of the player."